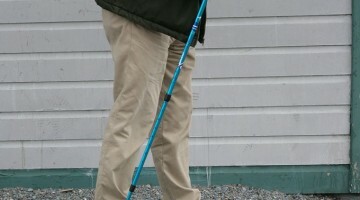 The grip technique for holding Nordic walking sticks is designed to help work and stretch your arms more, and to increase rotation of spine and hips. 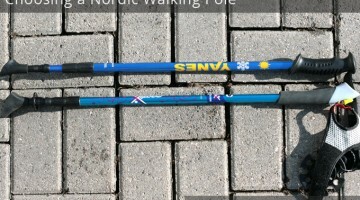 Note that the handles on some Nordic poles (such as in the photo above) are like holsters, and the holster should point away from you, facing in the direction you are going. By the time the handle is forward and ready for the push again, your grip should be firm enough to start the next push back. As the pole comes forward and passes your hip, your grip starts to tighten on it once more. It’s a bit annoying at first to have to keep reminding yourself, but after a while your body will remember so you don’t have to. Apparently, it’s worth getting it right because if you skip the open palm bit, you won’t be able to do the proper body part rotations (shoulder and pelvic) according to Marko Kantaneva, one of the people who developed the sport. 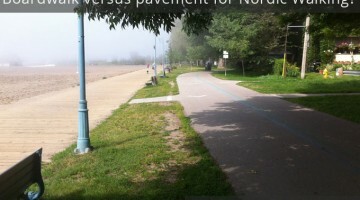 To test if you are doing it right, do it on pavement with no rubber tip — you are apparently supposed to hear single, sharp, clear “click, click, clicks” rather than any dragging or scraping of the metal tip. 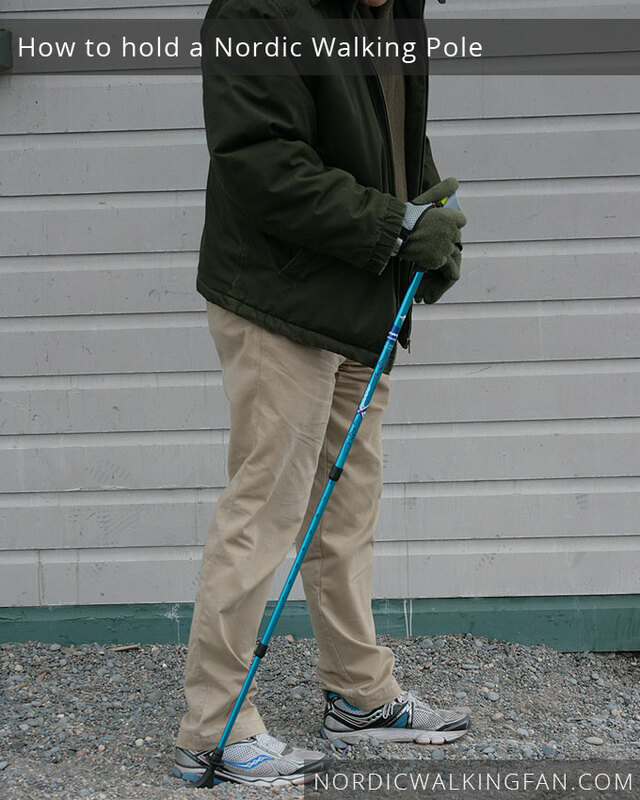 The technique for holding and pushing with Nordic walking poles is not completely written in stone anywhere. There are several variations. The only variation I’d warn against is the variation that I seem to end up doing sometimes — I still don’t always get it right!